Queen Latifah, born Dana Owens on March 18, 1970, in Newark, NJ; raised in East Orange, NJ; daughter of Rita and Lance Owens is an African-American actress and rap musician. Education: Attended Borough of Manhattan Community College, broadcasting. Queen Latifah built an entertainment empire within two decades of starting her career as a female rap artist. Her music, according to Interview, borrowed freely "from hip-hop, house, jazz, and reggae," all saturated by Latifah's sense of self and a pride seemingly untouched by vanity. Her creative talent marked her success as much as her work ethic and standards for civility. Known for her refusal to participate in the well-publicized feuds among various factions of rap performers, Latifah used other methods to get her point across: "I might rebut if somebody challenged me, but I'd make it funny, not nasty," she said in Rolling Stone. Attesting to her feelings of solidarity with other rappers, she has stated that she would rather present a united artistic front than suggest a clique fractured by infighting and clashing ambitions. Applauded for her social politics as well as her gift for rhyme, Latifah presented a well-rounded image, with social commentary in its place, but entertainment firmly in the foreground. By the 2000s Latifah had become one of the most recognized entertainers in music and film, and had taken on her status as a role model for other women and girls with enthusiasm and pride. Latifah, whose real name is Dana Owens, was born in 1970 in Newark, New Jersey. She is the second child of Lance and Rita Owens. Rita was 18 when she gave birth to Dana. Her father was a policeman. The marriage of her parents was troubled, and the couple parted for good in 1978. Lance Owens, Sr. did, however, stay in touch with his children. Latifah's brother, Lance, Jr., was older than his sister by a year--a policeman like his father, he died in a motorcycle accident on April 26, 1992, an event which devastated Latifah. Dana Owens became Latifah when she was about eight. A Muslim cousin gave her the nickname, which means "delicate" and "sensitive" in Arabic. Queen was later added by Latifah. She began singing in the choir of Shiloh Baptist Church in Bloomfield, New Jersey, and had her first public singing triumph when she sang a version of "Home" as one of the two Dorothys in a production of The Wiz at St. Anne's parochial school. In her first year of high school--as a sophomore--Latifah began informal singing and rapping in the restrooms and locker rooms. In her junior year she formed a rap group, Ladies Fresh, with her friends Tangy B and Landy D in response to the formation of another young women's group. Soon the group was making appearances wherever they could. Latifah's mother, Rita Owens, was a catalyst; she was in touch with the students and the music. She invited Mark James, a local disc jockey known as D.J. Mark the 45 King, to appear at a school dance. The basement of James's parent's house in East Orange, which was equipped with electronic and recording equipment, became the hangout of Latifah and her friends. They began to call themselves Flavor Unit. James was beginning a career as a producer and made a demo record of Queen Latifah's rap "Princess of the Posse." He gave the demo to Fred Braithwaite--Fab 5 Freddy, host of Yo! MTV Raps, who played it for Dante Ross, who worked for Tommy Boy Music at the time. Tommy Boy signed Latifah and in 1988 issued her first single, "Wrath of My Madness." Latifah made her first European tour and her first appearance at the Apollo, which was quite successful. Her first video, Dance with Me, was made in June of 1989. In October of that year the album All Hail to the Queen was released. The album led the New Music Seminar of Manhattan to give her the award of Best New Artist of 1990, and it reached sales of over a million. While some vocal artists are never quizzed about the message of their music, rappers are often asked to philosophize about fellow musicians and ideas in rap; Latifah holds her own, but will not be made into a spokesperson. Her strength is often misinterpreted as a feminist message. Like many young women, Latifah dislikes the label "feminist," believing it carries strident overtones. "I'm not a feminist.... I'm just a proud black woman. I don't need to be labeled," she said in Interview. Queen Latifah has been critical of the sexist images of women presented by some male rappers. In a rare moment of universal criticism she stated, "Those women are pretty shallow. They look like skeezers, and that's the problem. A lot of those females don't have respect for themselves. Guys are exploiting them." Dimitri Ehrlich of Interview congratulated Latifah on her positive image. "I think it's great that women you choose for your dancers have the kind of image that young people look up to." She sees materialism as one cause of the acceptance of male-dependent women, contending that "females don't respect themselves; they only think materialistically. They want money, but they don't think, I'm gonna get this money on my own. They think, I'm gonna get money from this guy," according to Interview. Even as Latifah was beginning to earn money, she displayed an interest in investment--putting money into a delicatessen and a video store on the ground floor of the apartment in which she was living. She came to realize that there was an opening for her in record production. While she was making her own deals and making money in the process, many of her fellow rap artists were making disadvantageous recording arrangements. In 1991, she organized and became chief executive officer of Flavor Unit Records and Management Company headquartered in Jersey City, New Jersey. She ran the company with high school friend Shakim Compere, who would remain her partner as the company expanded over the years. By late 1993 the company had signed 17 rap groups, including the very successful Naughty by Nature. Distribution of Flavor Unit's records was being handled by Motown. In 1993, Motown released Latifah's third album, Black Reign, which was recorded not long after the death of her brother. She dedicated Black Reign's jazz and reggae influenced "Winki's Theme" to him. She told the New York Times, "I think Black Reign is about growth, not a change in direction. It's about me reigning over tough times in my personal life and about black people reigning over their oppressors. I think it came out purer than anything I've done." Black Reign went gold--selling over 500,000 copies, and its single, "U.N.I.T.Y." earned Latifah her first Grammy Award in 1995, when she was named best rap artist. She was also honored with the Sammy Davis Jr. Award for Entertainer of the Year at the 1995 Soul Train Music Awards. Latifah's own career continued to flourish after Black Reign's success. Her fame and presence translated into film appearances, including roles in Juice, Jungle Fever, and House Party II. She also had television appearance on such shows as "Fresh Prince of Bel Air." In 1993 she accepted the role of Khadijah James in the sitcom, Living Single, which became a huge success with black audiences. The show was cancelled by the Fox-TV network at the end of the fourth season; however, popular viewer demands brought the show back. A major and unprecedented letter-writing, phone-calling, and electronic mailing campaign by fans who demanded that Fox-TV bring back the sitcom resulted in the popular show returning for its fifth season. It finally went off the air in 1998. But Latifah did not lament the end of the show. "That was just one part, one thing, one venture that I undertook for my life and it was successful. But it was not the first thing that I've done and it won't be the last," she told Jet. Before the end of 1998, Latifah had completed another album, Order in the Court, and begun acting in a new film, and written an autobiographical book about self esteem. From her film debut in the early 1990s, Latifah consistently took on more substantial roles. In 1996, the movie Set It Off hit the theaters; Latifah played the role of Cleo, a lesbian bank robber who along with her three friends rob banks to make ends meet. She told Jet that she considered her part in Set It Off as her "first real acting role.... It was so not me that I really had to work hard on becoming that person and proving that I could do it, that I could act. It was a meaty role." When asked how she felt about playing the role of felon and lesbian, Latifah told Veronica Webb in Interview that " Despite the risks, I felt that this was where I could display my talent." Latifah made the role of Cleo very believable despite the comments made by those in the black community regarding her role of a homosexual. Latifah responded to Interview by saying, "I can't base my life on what people think. Things don't change by everybody just presenting the same thing. Nobody's had more anxiety over the part than me." Yet Latifah's belief that this role would be pivotal in her film career was correct. She played several roles in the late 1990s, including parts in Sphere and Living Out Loud. Her involvement in films grew so much by the early 2000s she had built her own entertainment empire. Her performance as a prison warden in 2002's Chicago earned her an Oscar nomination, and by 2003 she had refocused her company to in order to concentrate on films. Her first, Bringing Down the House, which she produced and starred in opposite comedian Steve Martin in 2003, brought in over $130 million dollars. Not a bad start, despite mixed critical reviews. Such films as Taxi, Beauty Shop, and Last Holiday followed. Yet as her film career blossomed, Latifah's entertainment empire remained diverse. She continued to create new albums, releasing a medley of torch songs on The Dana Owens Album in 2004. Latifah also ventured into clothing design. Having worked as a spokeswoman for the Curvations brand of VF Intimates since 2002, Latifah signed an agreement in 2005 to design and promote the brand of full-figure lingerie that was sold in such places as Kmart, ShopKo, and Wal-Mart. Latifah's position as a Cover Girl spokesperson added to her diverse marketing ventures. While her fame brought her great wealth, Latifah continued to identify with her roots and to remain open to sharing her story of success, especially with women. She remarked to Newsweek that "your confidence level and your self-esteem are key in all the things that you want to achieve." In 2006 she promoted National Woman's Confidence Day; launched Project Confidence, a national effort to promote self-esteem in women and young girls; and was also writing a children's book about self-respect. "I was taught to believe in myself at an early age by strong, independent women like my mother and grandmother, and want to pass this message on to others. Building women's confidence gives them the strength to live more fulfilling lives," Latifah commented to PR Newswire. Despite her fame and fortune, it is her efforts to help others that may prove to be Queen Latifah's best legacy. Grammy Award, 1995, for single, "U.N.I.T.Y. "; Soul Train Music Awards, Sammy Davis Jr. Award, 1995, for , Entertainer of the Year; Academy Award nomination, 2003, for Best Actress in a Supporting Role; Star on the Hollywood Walk of Fame, 2006. Ladies Fresh musical group, human beat box performer, during high school years; solo recording artist, 1989-; Flavor Unit Management Company, founder, 1991-. * All Hail the Queen, Tommy Boy, 1989. * Nature of a Sista, Tommy Boy, 1991. * Black Reign, Motown Records, 1993. * Order in the Court, Motown Records, 1998. * The Dana Owens Album, Interscope, 2004. * (With Karen Hunter) Ladies First: Revelations of a Strong Woman, Morrow, 1998. * House Party II, 1992. * Who's The Man, 1993. * Set It Off, 1996. * Living Out Loud, 1998. * Bringin Down the House, 2003. * Queen Latifah Show, 1999-2001. 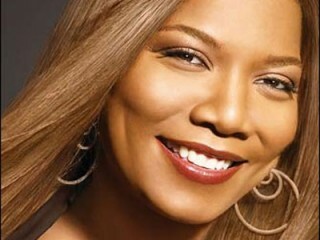 View the full website biography of Queen Latifah.